I wonder if you have even thought about this kind of style board. 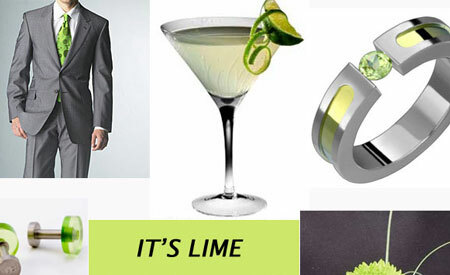 This lime infusion for the groom is a different take on chic. Few can pull it off! 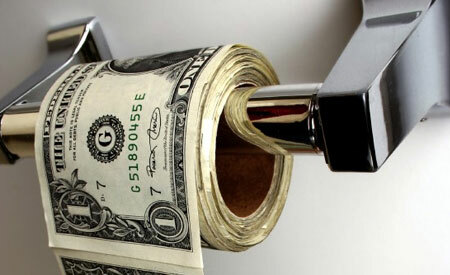 Even fever can say they have thought about it, and far fewer would be able to get away with it from their Bride’s-to-be! It is actually a classy look if done properly. 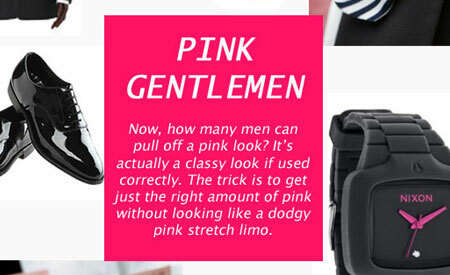 The trick is to get just the right amount of pink without looking like a dodgy pink stretch limo. 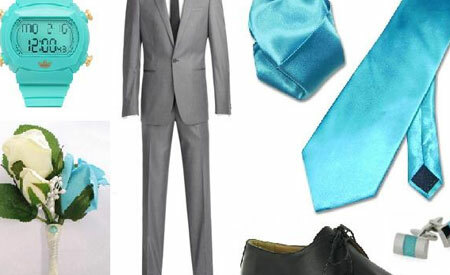 Style Board: Blue Groom, with A kick! As the groom, one of your many responsibilities is looking the part. You will be at the top of the aisle and attention will be on you, so comb your hair and wack on some deoderant, but among all things, dress like you have never dressed before. Bridal Street, rs1 Brings you another great Tiffany Find.